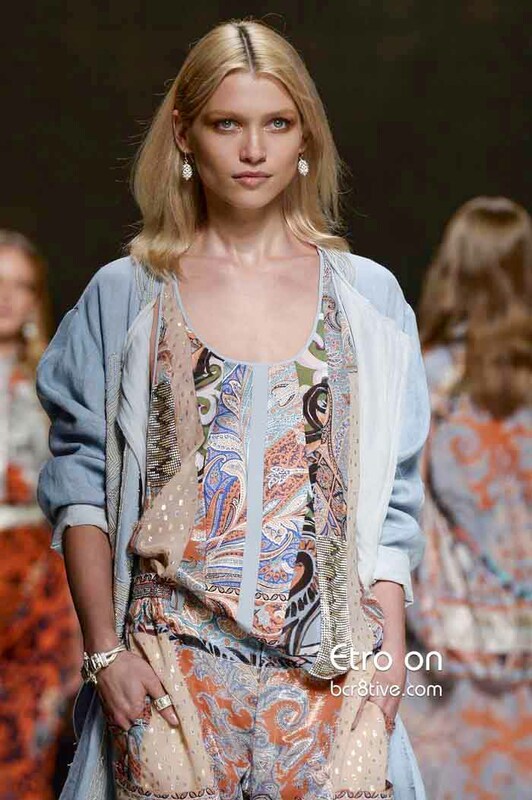 The Etro family still has the market cornered on creating dazzling Italian textiles and incorporating them into a bevy of designs that include stunning Maxi dresses, sarong styled skirts, body wrapping dresses and super cute cropped pants and tops. The designs are light, feminine and somewhat bohemian. Relaxed styles place focus on comfort. Paisley and floral patterns are expertly mixed and matched. The designs are softly flattering and fashionably fun.